The Amazon Echo might have been first speaker on the smart home scene, but it looks like the Google Home is actually a better fit if you want a useful response to your questions. That's according to a test set up by US digital agency 360i who asked the same 3,000 questions to both virtual assistants. 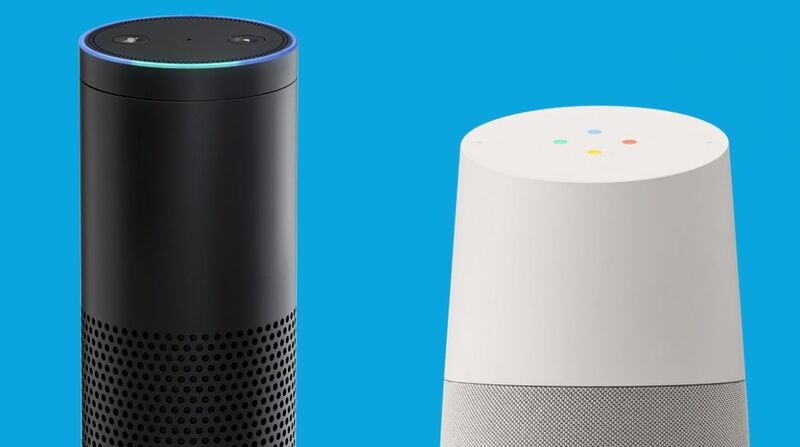 The results revealed that the Google smart speaker was six times more likely than the Echo to correctly answer the question. There is a slight problem. We have no idea what questions were asked in this test or how they were asked, both of which would impact on the responses from the speakers. The report did reveal that Amazon's Alexa fared better with retail-related searches. So small victories and all that. What we do know is that these speakers rely on very different technologies to deliver those responses. Google uses its formidable Knowledge Graph power search, using a database of information pulled from the web. With Amazon and its Echo platform, it uses Microsoft's Bing search engine, which you know, isn't Google. From our own Google Home v Amazon Echo testing, we found that Google's smart speaker had come on leaps and bounds since it was first launched last year and was closing the gap on the Echo in the Skills department. By the end of the year Alexa will have Siri in the Apple HomePod and Cortana via the Harman Kardon Invoke to compete with too. We'd be interested to get some more details on how this quiz was carried out, but for now, it certainly will have the team at Google HQ smiling like Cheshire cats that they've got one over on Amazon's instant classic.